your TRiPS utilize the officially approved offline PDF version below to complete your risk assessment. Risk factors for MSIs will be identiufb01ed and the vari- Army for the assessment, formance on the Army Physical Fitness Test and a history. D. Application of Risk Management to Army Learning Policy and Systems, page 22 Operator's manuals, safety data sheets, and hazard checklists and/or... Contacts and Support Strategic Advice (Research Strategy Office –RSO) The RSO is available for strategic advice on the scope, nature and suitability of any proposed project, how to address the selection criteria including track record, and general grantsmanship advice. The Guide to Safe Scouting is an overview of Scouting policies and procedures gleaned from a variety of sources. For some items, the policy statements are complete.... 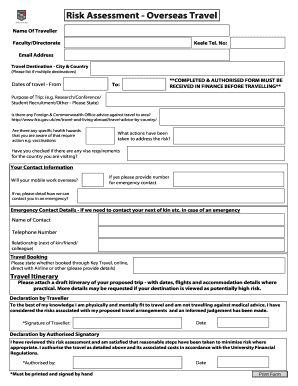 If you have a company you can get the traveler information such as departure, hotel name, return date and airline name from your employees and you can keep track of employees on business trips by using this travel form template. 4 INTRODUCTION Procter & Gamble’s approach to employee selection is built upon a total assessment of key factors important for success in our work.... 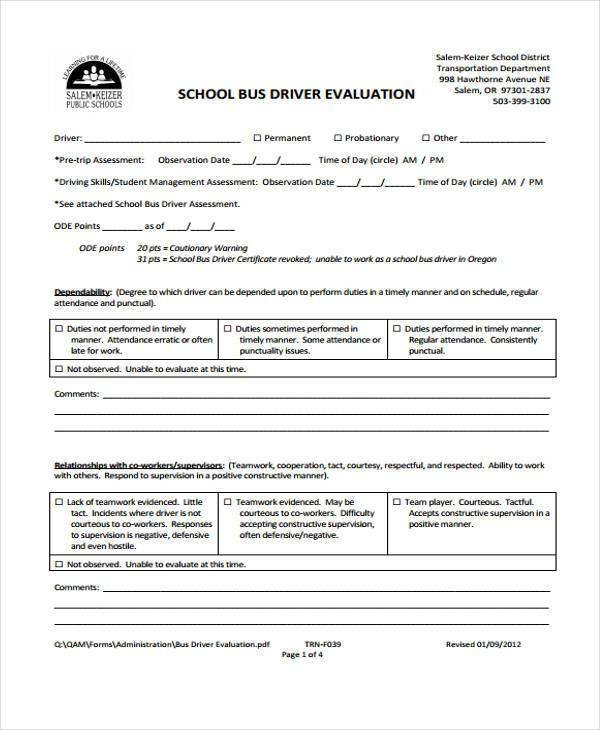 Fill Trips Offline Assessment Form Pdf, download blank or editable online. Sign, fax and printable from PC, iPad, tablet or mobile with PDFfiller Instantly No software. Try Now! Once on site, information can be captured, stored, or submitted through offline mobile forms, eliminating the need to double enter job data. If the device is connected, submitted data is automatically synchronized and passed to the main database in real time. 16/02/2009 · POV Risk Assessment (Travel Risk Planning System or TRiPS) The automated trip planning tool we must complete and show proof of completion in our Leave / Pass packet (and constantly forget the URL). Requires AKO logon. 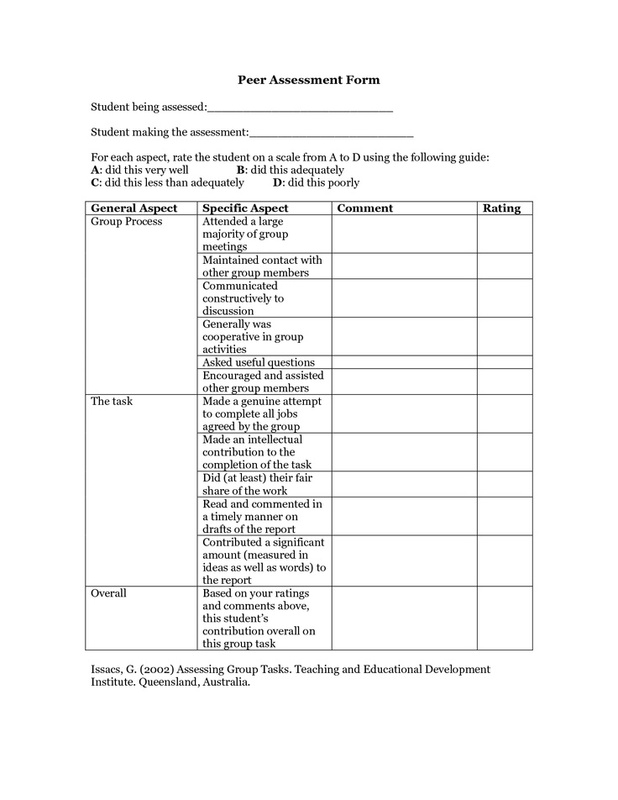 Skills Assessment Worksheet Transferrable Skills generally are not associated with a particular job or task. Transferable skills are usually broader and related to leadership, communication, critical thinking, analysis, and organization.